Read/print Target's Official Coupon Policy . $5 Gift Card wyb 5 Pepsi 6 pk or 12 pks. Aunt Millie's Old Fashioned Bread, Hot Dog or Hamburger Buns - B1G2 FREE! Boneless Skinless Chicken Breasts (Family Pack) - $1.99/lb. *buy 1 shampoo, 1 conditioner and 1 styling product and get $3 off your next order. CVS : Gillette Body Wash Money Maker! At CVS this week make sure to take advantage of this Money Maker deal! 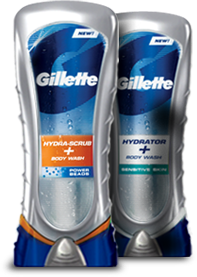 Gillette Body washes are marked down to $4.00 each and you will get $4.00 in ECB's (limit 2) making them FREE. To turn this into a $4.00 money-maker, use either the $4.00/2 or the B1G1 FREE coupon from the 5/2 P&G insert. Check out the rest of the CVS Weekly Match Ups before you go! 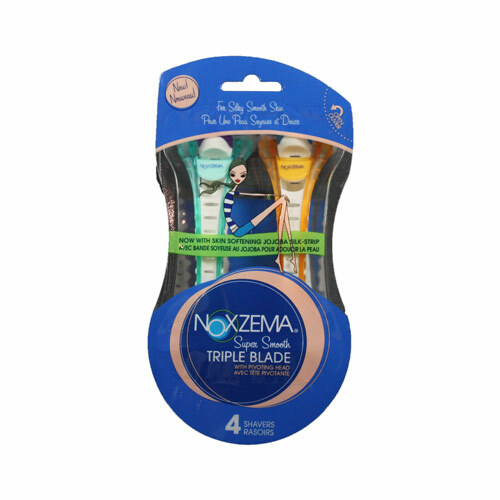 Walgreens : CHEAP Noxema Razors! Noxema brand razors are on sale B1G1 FREE this week at Walgreens. Bikini shavers are only $2.99 each, the 4 pack of razors (pictured) are priced at $4.99 each and the Spa razor line packages are $5.99 each. Make this a HOT deal by using this $2.00/1 Noxema Razor printable Coupon. You can print it 2x from each computer you have. Buy 1 Noxema Razor @$4.99, Get 2nd one FREE. Total = $0.99 + tax for 2 packages! The more computers you have to print from, the more razors you can buy for this great price! See all of this week's Walgreens Match Ups before you head to the store.
. If you are new to saving at Walgreens, read Walgreens 101. Final Price: 4/$2.80 or $.70 each!